Every so often a new app will suddenly appear on App Store and get everyone talking. The latest app to do this is Peach – a new social networking app from Dom Hofmann, co-founder of video-based social network Vine. Peach is “a fun, simple way to keep up with friends and be yourself,” and has exploded onto the scene – breaking into the top 10 Social Networking apps in the App Store already (there’s currently no Android version). We decided to drive below the surface and investigate how Peach works, as well as share a super-early case study on how Product Hunt has been using the platform to engage with their audience. Before we dive into how to use Peach and how Product Hunt has built an audience on the app, I first wanted to share a quick overview of what Peach is and how it works. Peach encourages the easy sharing of video, images, gifs and even user-created drawings. The real differentiating factor in the app are Slack-like commands called “Magic Words” (more on these just below). Like Facebook, users have “friends” on Peach and you must be friends with someone to “like” or comment on their posts. Users can also interact with each other via a multi-faceted interaction menu, similar to Facebook’s old Poke feature, friends can wave, boop and send cake to each other. Another key difference between Peach and other networks is the lack of a continuous scrolling feed. Instead, Peach shows a list of when friends have posted something and users must click to see the full post. Peach is centered around “Magic Words.” These words trigger different types of posts within the app – similar to how commands work within Slack. Typing “weather” for example will add the weather to your update and “shout” will make your text larger and more eye-catching. Some of the magic words are a little quirkier, using “song” works like Shazam and identifies the song you’re currently listening to and “move” will share your fitness data (such as steps taken). In order to give you an overview of how Peach works, we teamed up with Niv Dror, who runs social at Product Hunt, to give us the lowdown on what got them excited about Peach and how they’re using the platform. At first it reminded me of a version of Snapchat Stories, in the way people discover new posts. But in a way, it also feels like Slack in how quickly you can interact and how links get embedded. What I was most impressed by is how smooth, (delightful is probably the right word) it is when you most post an image or record a short clip – which loops and is six seconds in length like Vine. It just feels native to whatever piece of content you want to create (which is very important). I signed up and got my first name @niv which was fun, but the way they walk you through the magic words in a conversation format showed me what Peach is about. I was so impressed by it that I signed-up @ProductHunt for a Peach account and recorded the on-boarding. How does Peach’s friend feed work? and if you include text it will show the first few words, so I’ve started using that in a way that communicates the most exciting part at the start. The post preview in-feed is very short, but shows just enough content to entice friends tap and see the whole thing, which we’ve found usually leads to more likes and comments on posts. It’s also fun to see how magic words get embedded, so if you use the ‘song’ magic word, it will show the song title and the 🎵 emoji, if you use the ‘battery’ magic word it will show 🔋44 percent, etc. I quickly realized that whenever I would post something from the @ProductHunt Peach account we’d get five to 10 new friend requests — which is how I found about the friend-of-friends feed. Each new posts brings you to the top of your friend-of-friends feed, the more friends you have, the bigger your extended network. So far that has been the biggest driver of new friends to the PH account. From this tweet [above] a bunch of people added us, and I’ve followed up on that indirectly with this tweet once. Interestingly though, most of the growth has been right from the Peach app — spending hours and hours accepting people who add us, posting all weekend, and interacting with everyone. That got me to the point where I wanted to highlight Peach at the top of Monday’s Product Hunt Tech Digest email, which led to a lot of people adding Product Hunt throughout the day from the call to action. I’ve been combining Peach with the other big app everyone is talking about: Stolen. At first I did a Stolen Code Giveaway on Peach (instead of our Snapchat) and then I casually posted that if people want us to ‘steal them’ on Stolen just let us know their Twitter handle as a comment on our Peach post. [For context: Stolen is a game that allows you to collect and trade your favorite people on Twitter. You can see at the top [of the above gif], that post has 93 comments and the one below is a continuation of that. After someone had commented I went straight over to Stolen and ‘stole’ them, that delivered instant feedback – one minute they said they wanted us to steal them, and a minute later getting a notification that it’s done. What’s engagement like on Peach? Engagement is the thing I was most surprised by — it’s higher than what we see on the @ProductHunt Twitter account (which has 111k+ followers). I’ve already seen the some of the Product Hunt Peach posts pass well over 100 comments, which is just awesome. I’ve found that breaking up your posts into two to three sections works very well on Peach. It started as away of optimizing for what shows up in the feed-preview, but it’s also just fun. So by breaking it up into “Fill in the blank” and “My favorite emoji is____” I appear twice in the feed instead of once. The two to three part question/statement flow really well and it highlights what you want your audience to focus on. You can see the audience were keen to engage with the content even before the main “fill the blank” post was shared. 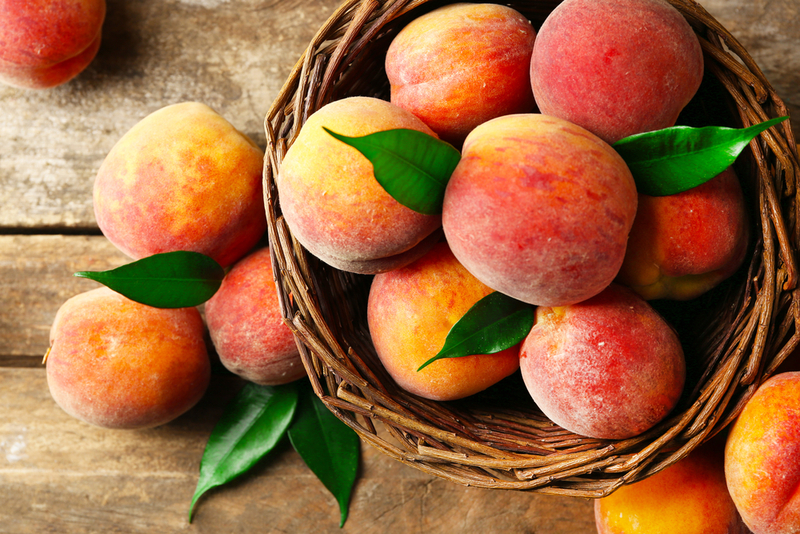 Could Peach become a useful tool for brands? Peach can be a great way to build and interact with your community, and I’ve seen evidence that it can also work as a distribution channel. I’ve seen direct real-time traffic back to Product Hunt from posting a link on the Product Hunt Peach account. When I saw that in Google Analytics I got really excited because it showed me that it can be used as effectively to drive traffic, in a way that Instagram and Snapchat aren’t as natural at (because you can’t link). I know some brands are on it, but the only one I’ve seen mention it is MTV. Peach feels very much on trend in the current social space where apps are moving move into supporting native multimedia content. Twitter and Facebook have both recently started to support gifs and Instagram have started supporting video and launched Boomerang to help users create live photos. I’d love to hear your thoughts on Peach. Have you downloaded it yet? Any first impressions? Do you think it’ll be a long-term success? Share in the comments, I’m excited to join the conversation with you!